Raise a pint to two of the Pacific Northwest’s most magnificent mountains: Mount Rainier and Mount Hood. North Drinkware is a small Oregon-based company that makes glassware inspired by the Pacific Northwest’s terrain. 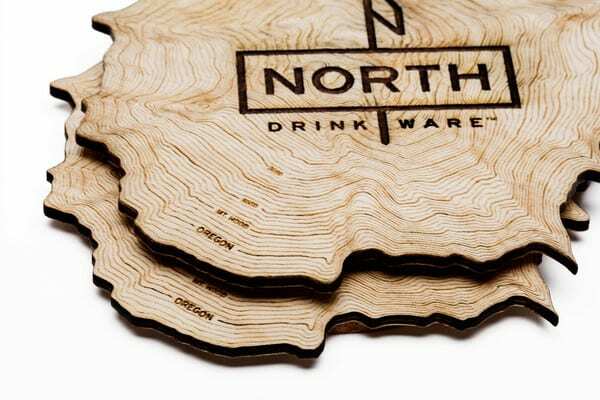 Originating from a very successful Kickstarter campaign, North Drinkware currently has two handmade drinking glasses showing the terrain of Mount Rainier and Mount Hood at the bottom of each style. 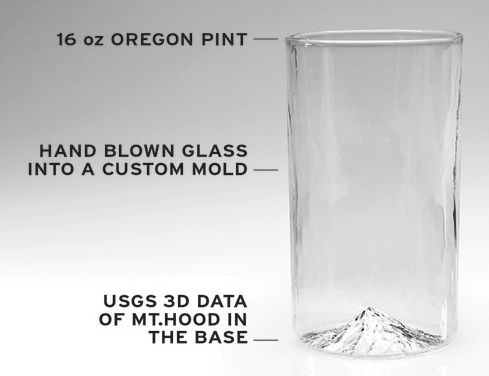 The Oregon Pint is a handblown 16 ounce glass that has the topography of Mount Hood, Oregon’s highest peak at 11,249 feet (3,429 m), molded into its base. The Washington Pint features that state’s highest peak, Mount Rainier at 14,417 ft (4,394 m). 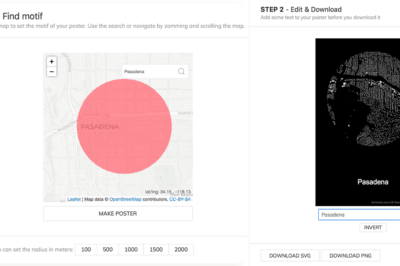 Both glasses were designed using USGS 3D elevation data.